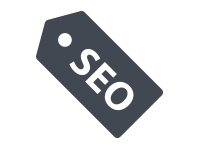 Search Engine Optimization (SEO) - Blackrock Networks, Inc. Successful search engine optimization (SEO), is based on measuring results. If you can't measure then you can't succeed. We create an internet marketing plan around search engine optimization (SEO), pay per click advertising, social media marketing, and search engine optimized website design. Then, we monitor the results with our analytic programs.